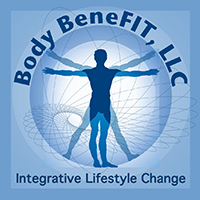 Body BeneFIT LLC is a Fitness/Wellness company. Our mission is to provide an integrative lifestyle change. We strive to fulfill your dreams of living a healthy and fit lifestyle that is free of unnecessary aches and pains. Acquiring this lifestyle change is not a "swan dive" process. Fitness and wellness requires time to develop and must be an integral part of your life. Staying fit and in shape is a process but once achieved it is most rewarding! We BELIEVE anyone can reach their fitness goals and we are DEDICATED to making that happen. Our principles are not a generic, "one size fits all" training program. We provide a prescription-like session by focusing on each individual with realistic goal oriented training, nutrition, and massage therapy. Wouldn't it be nice to defeat our challenging physical demands and move freely again? You are the 1st step to success, NOW TAKE IT!